Pizza business for sale fontana ca. 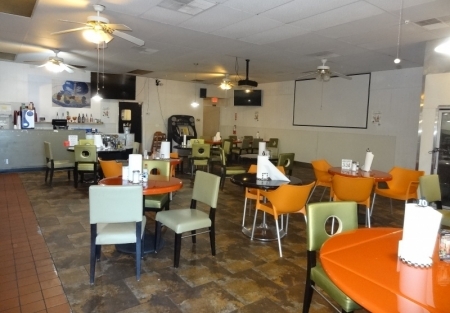 Low Price Mexican Restaurant - Low Rent - Beer and Wine! Go visit this Mexican food business by selecting the "Sign NDA" button to the left. Price Drop makes this an unbelievable deal! It will not last! Get Into The Restaurant Business CHEAP! Make this a great Mexican Food Restaurant or change the concept to Pizza! Either would make a great neighborhood Family concept. I don't know where you can get a restaurant FULLY EQUIPPED at such a low price. Plus you are getting a 41 Liquor license and an Entertainment license, which is so hard and expensive to get! Owner is spread too thin and wants to sell his current restaurant which is operating as a Salvadorian Pupusa concept. Owner operates another concept a few miles away and has decided to let this one go. And this is full of equipment that will make almost any concept the right one. 2 Walk ins, a Double Deck Pizza Oven plus a Baxter Rotary Oven just to name a few items you get for a ridiculous rock bottom price! Did I mention the hoods? Not one but 2 Hoods plus a 41 License and a City Entertainment license. This place seats 43 and is set up with a projector and big screen for team sports parties. This owner has done a lot of work putting this together and you can bring a new concept to make this fly. Pizza is a no brainer since the oven is in place. Mexican food would be great as well as rotisserie chickens. If you ever wanted to get into the restaurant business on the cheap, this is your chance to walk into something with huge possibilities. There is a school right around the corner plus this center is anchored by a Stater Bros Grocery Market. You will also love the rent @ $1950/mo. Option available. Owner requires you change the name and offers no training, so be prepared to launch your own concept.